THE National Parks Association has entered the Hearnes Lake debate saying the Roads and Traffic Authority should buy the contentious strip of land and lock it up as a green corridor. NPA spokesman for the Coffs Harbour and Bellingen region Ashley Love says the government is actually obliged to offer ‘environmental compensation’ as part of its commitment to the highway upgrade from Sapphire to Woolgoolga. 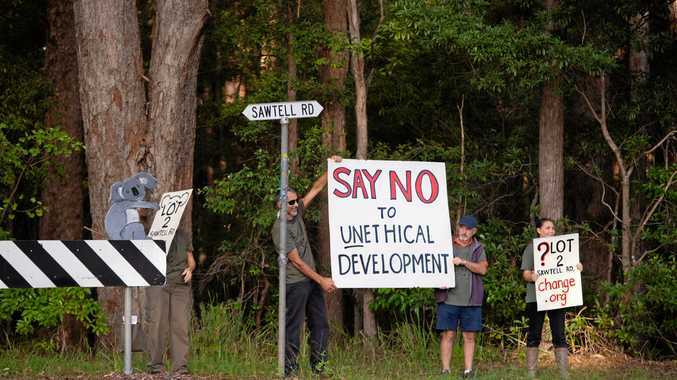 Mr Love said buying parcels of land at Hearnes Lake, Emerald Beach North and the South Moonee Forest which were currently the subject of widely-challenged Part 3A planning applications over sensitive coastal environments, would protect those environments and provide green belts between villages on the Northern Beaches. “The NPA believes those properties should be purchased and incorporated in the adjoining Coffs Coast Regional Park and Moonee Nature Reserve,” Mr Love said. “The RTA is required, in accordance with the approval for the Sapphire to Woolgoolga upgrade, to prepare a Biodiversity Offsets Package by January 13, 2011. Mr Love said the highway upgrade approval, given by now NSW premier Kristina Keneally during her time as Minister for Planning, provided for the involvement of the Department of Environment Climate Change and Water and the Marine Parks Authority in the selection of compensatory habitat areas, with the final approval to be given by the Department of Planning. He said as well as helping to protect water quality and fish nurseries for the Solitary Islands Marine Park, and permanently protecting the sensitive coastal environment, such a move would distance the Keneally Government from allegations that contributions from developers were influencing the Part 3A approvals process. Local residents and environmentalists are currently protesting about a proposal for a 280-lot subdivision south of Hearnes Lake and north of Sandy Beach and will hold a meeting at Hearnes Lake at 11am on Saturday to consider further action. Hearnes Lake Road resident Kay Davison said the proposed subdivision showed housing lots on dunal swales and in areas which would be under water when the intermittently opening and closing lake was closed and at its high water level. 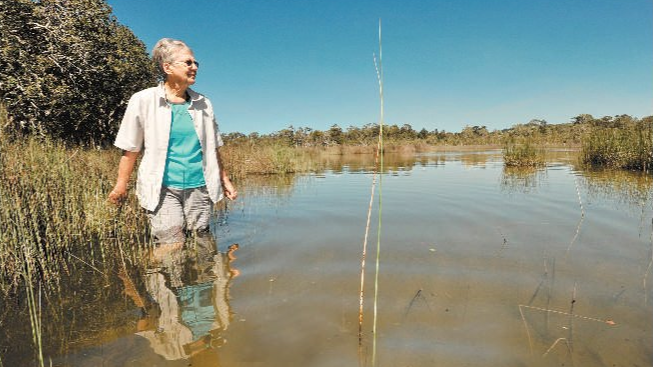 Emerald Beach-based ecologist David Scotts said the Hearnes Lake site had been degraded over several decades by grazing and removal of underbrush, but was easily renewable and it was important habitat for frogs, including the wallum froglet, birds and bats.